Every health organization on the planet agrees that consuming enough vegetables and fruit in your diet is paramount to maintaining good health. Canada’s Food Guide recommends eating between 5 and 10 servings of fruits and vegetables every day. There’s a good reason for this: vegetables and fruits are among the most nutrient dense foods available, and contain important health-promoting and cancer-preventing anti-oxidants, as well as vitamins and other essential nutrients. So all we have to do is consume close to 10 servings of fresh vegetables and fruit each and every day and we’re well on our way to drastically improving our health and longevity... that’s great! However, as you and I both know, that is easier said than done. Most of us eat nowhere near that many servings of these vital food groups, and when we do it’s often over-processed, over-cooked, or (unless you live near a farm) we have no idea how fresh it is. Even if you do make an effort to stock your fridge with plenty of vegetables every week, how many of you have ended up throwing a lot of it away after several days because it’s gone bad before you could eat it? It takes discipline to incorporate these foods into your regular diet. In addition, if you are trying to lose weight, or managing diabetes, then you may need to monitor and reduce the amount of fruit you consume, because fruit (especially fruit juice) is loaded with fructose, which is a simple sugar that can lead to weight-gain and negatively affect insulin. In this case, how are you going to get the nutrition you need from these foods? Many look to vitamin and mineral supplements to fill the nutritional gap in their diets. However, these nutrients do not absorb very well in pill form, and they are missing most of the important micronutrients, plant enzymes, and phytochemicals that you would get from eating the whole food. So basically, you are not getting the same necessary nutrition, and the vitamins and minerals you do get from most supplements are not very bio-available (your body won’t use them efficiently). Most of us are not suffering from a vitamin deficiency... we are suffering from a “whole food” deficiency. As a personal trainer I’ve worked with hundreds of clients, many of whom have struggled with getting enough vegetables and fruit in their diet. My focus has always been on getting the nutrition you need from real food sources, but in this case I understood that a supplement would be a great benefit for most people. After trying various “greens” products, and reading ALOT about multi-vitamin supplements, I was finally introduced to a product called Juice Plus+ by a friend of mine in the health and fitness industry. 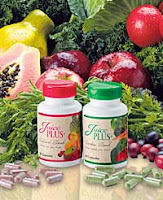 Juice Plus+ is different in that it is a whole food supplement, simply containing the concentrated nutrition extracted from “whole” fruits and vegetables, reduced to powder form, and put in capsules. It’s not isolated vitamins and minerals like other products, or an exotic super-food powder... it’s just fresh, raw, whole fruits and vegetables, which is just what we all need. The main thing that I liked about this nutritional product is that it is the ONLY one I found on the market that actually has legitimate scientific research demonstrating its effectiveness! Juice Plus+ has been the subject of several clinical studies performed at reputable universities and published in peer-reviewed scientific journals world-wide. Check out this research and other information about this supplement on my website at http://www.stayfitwithjuiceplus.com/ . It’s worth looking into, because it’s important to know what you’re putting in your own body. The second thing I really appreciated about Juice Plus+ is that when the fruits and vegetables were dehydrated into powder form, most of the sugar was removed along with the water. This makes it an excellent choice for diabetics and those struggling with weight control! You can now get the necessary nutrition from fruit without worrying about the sugar. Because I am a fitness expert with a strong web presence, every week I am contacted by many supplement companies and invited to sell various nutritional products. Some of these other products may be beneficial in some way, but I am not comfortable promoting a product that does not have solid research behind it. I also just don’t see myself as a “supplement-sales” kind of guy. And as I said, my focus is on getting the nutrition you need from whole food sources. This is why Juice Plus+ is the only nutritional supplement that I chose to endorse. Do yourself a favour and learn more about it at http://www.stayfitwithjuiceplus.com/ and let me know if you have any questions. Also, if you enjoy learning about health, be sure to check out the best nursing schools. 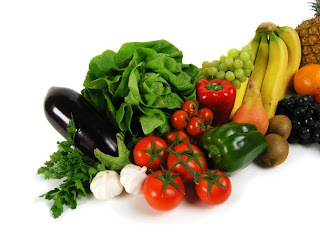 Consume balanced amount of fruits and vegetables to stay healthy. Is Foam Rolling Really a Good Idea?